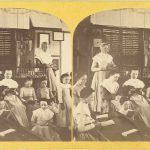 Stereograph, “Mount Lebanon Shaker School.” Sister Amelia Calver, pictured leaning on the teachers’ desk on the back right of the photograph, was the girls’ teacher from 1867 until 1887. 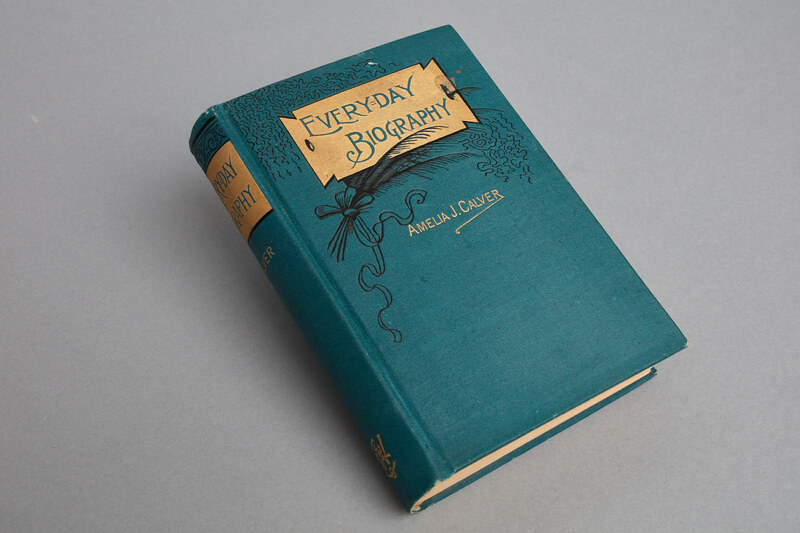 Book, Everyday Biography. Containing a Collection of Brief Biographies Arranged for Every Day in the Year, as a Book of Reference for the Teacher, Student, Chatauquan and Home Circles. New York: Fowler & Wells Co., . 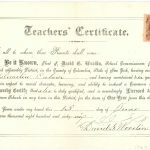 Teachers' Certificate for Sister Amelia Calver, 1866. Amelia Calver was brought to the Shakers at age six by her parents along with eight siblings. The only member of the family to remain with the Shakers, Calver is best remembered as an educator. 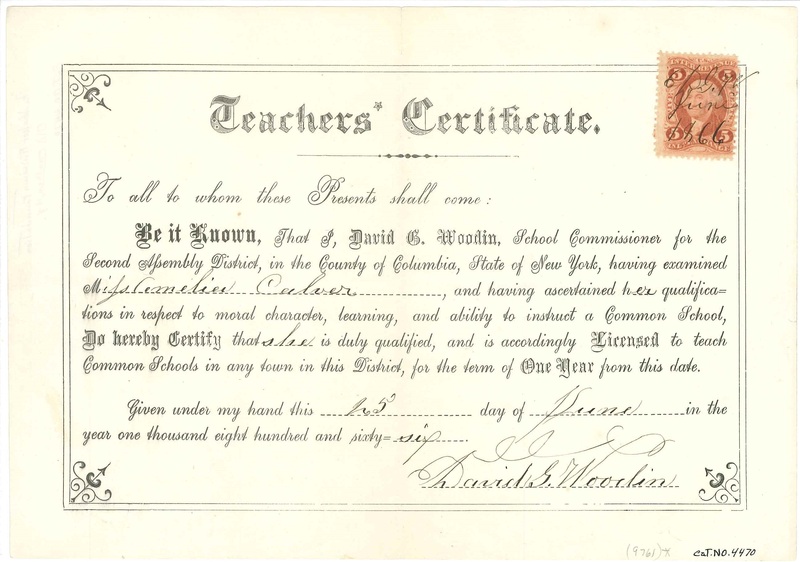 She became a teacher’s assistant, and then, at age 23, the teacher for the girls’ school. She is the author of Every-day Biographies, a collection of sketches of notable persons, including several leaders of various contemporary reform movements such as Elizabeth Cady Stanton, Susan B. Anthony, Harriet Beecher Stowe, and Emma Willard. 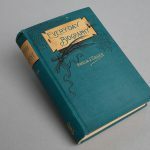 The book was meant as a textbook or aid for teachers, students, Chautauquans, and those participating in “home circles” – self-improvement gatherings. She also managed eight beehives for the Shakers.